The Duarte Garage was built in 1915 by F.H. Duarte on the original Lincoln Highway, the first transcontinental U.S. Highway. When the Carquinez Bridge was opened in 1927, the highway was re-routed and this section was eventually renamed Portola Avenue. The garage sold Associated gasoline and oil products and also performed repairs. In 1923 the south half of the garage was added and became an automobile dealership, selling Durant Star and Flint models. Robert Livermore Jr. was one of the salesmen in the early 1920’s. In the early 1940’s the garage was converted into a machine shop for rebuilding winery and farm equipment. 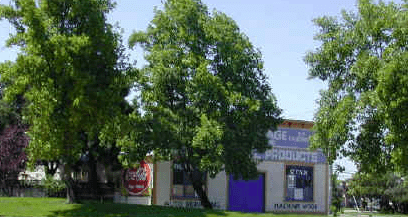 During the 1970’s the City of Livermore purchased the Duarte Garage and surrounding land for use as a park. The Livermore Heritage Guild signed a lease in 1976 to restore and maintain the garage for use as a museum.